There is little doubt that housing sales have slowed down in the past year, due in large part to stricter mortgage regulations. Part of those regulations is a mortgage stress test that requires borrowers to qualify for an interest rate that’s at least 200 basis points higher than the contracted rate. Those in favour of the stress test saw it as a way to improve housing affordability by thinking it would result in falling home prices, as well as protecting homeowners from potentially higher interest rates at renewal. 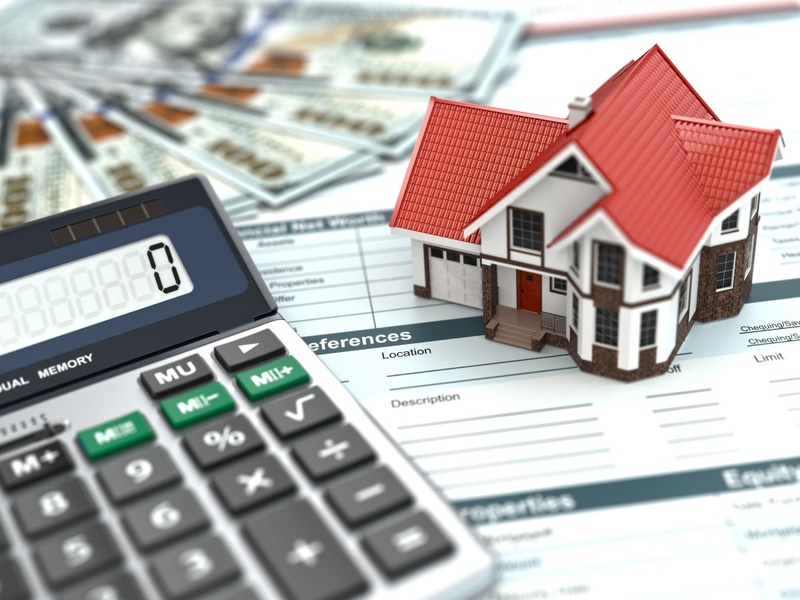 The most recent round of mortgage rule changes came into effect in 2016, then in January 2018, more changes were introduced, including using the stress test to qualify for uninsured loans. This had the greatest impact. The next month, in February, sales declined in greater Toronto by 35% from those recorded in February 2017. This past month (February, 2019) housing sales in greater Toronto were even 2.4% lower than a year ago. "It was a good run while it lasted, but the sun has officially set on the days of heady housing market growth fuelling Canada's national economy," Tal and Mendes wrote. “And that could be bad news because housing investment is more important to Canada's economy "than at any other time on record," they added. 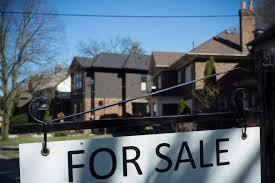 Home Buyer’s Plan Withdrawal Increase. Effective immediately, first time home buyers can now withdraw up to $35,000 from their RRSP, tax free, up from $25,000, for a down payment. If you have a co-borrower, that total could be up to $70,000. 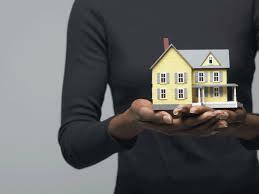 A first-time homebuyer, as defined by the Canada Revenue Agency, allows repeat homebuyers to also be classified as “first-time” if they or their spouse haven’t occupied a home, they owned in the prior four years. While the Department of Finance has not commented on this, the program is called a “shared equity mortgage”, so it may be safe to assume it will be a registered second. His organization estimated that the stress test would compel about 200,000 potential home buyers to change their plans in the first two years of operation. If 100,000 are helped by the loan program over three years, “a good chunk” of people most impacted may be getting help, he said. 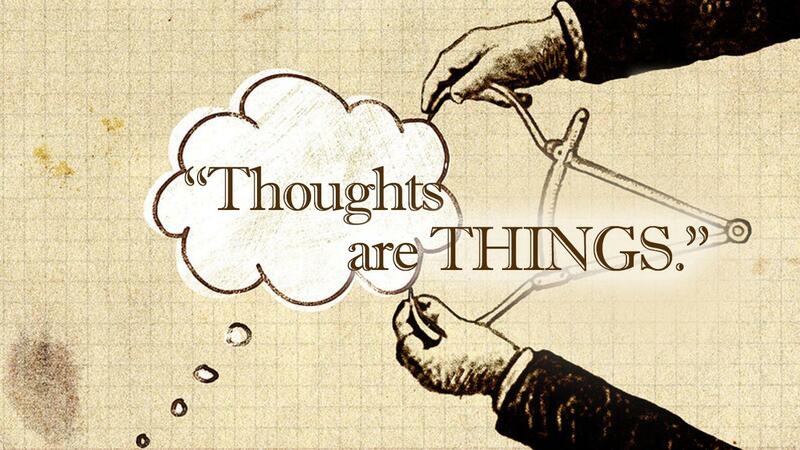 What if thoughts were things? I was speaking with a mortgage broker recently who was struggling as their volume was down from previous years. They explained they weren't doing anything differently and just found themselves in a funk, and were asking for my perspective on what they should do. Of course, we discussed all the reasons why things had changed for them. We talked about the changes in the market, the increased competition, the rate discounters, the underwriting rule changes etc. My response was and is today that these changes have zero effect on your business and the only thing that matters is your response to these changes. I heard the concept of "thoughts are things" about 25 years ago and after testing it and seeing it in action with so many successful people throughout my professional life, I believe it to be the determining factor in our success or failure, in both our professional and personal life. I also love that this is the one thing that I have complete control over. How we can apply this in our everyday life as mortgage brokers is so simple. When walking into a first meeting with a client, take a moment to visualize how you would like the meeting to go, see it unfolding in a positive way and resulting in you completing a mortgage for them. When a cold call comes in asking for your best rate, it's so easy to consider this a waste of time. Instead, see it as an opportunity, and challenge yourself to turn that client from a discount shopper to a value client. When dealing with underwriters or speaking to realtors about partnering, or in every action, spend a few minutes setting the stage by visualizing the outcome in a positive way. We all know people in our lives who seem to have that humble confidence that attracts people and opportunities that has helped them be successful. Let's be those people. We are living in strange times, economically speaking. Mortgage stress tests have slowed the housing market and may be one of the reasons the Bank of Canada has signaled it may pause on increasing interest rates. Home sales fell sharply in Canada last year -- the largest annual decline since 2008, spurring predictions the country could face stagnant sales in 2019. The decline was due in large part to slowing activity in British Columbia and in the Greater Toronto Area, both hit hard by new government measures and higher interest rates. The Canadian Real Estate Association has forecast little improvement in 2019, predicting 0.5% growth in national sales this year, over 2018. Christopher Alexander, regional director for Re/Max in Ontario and Atlantic Canada, said the mortgage stress test has been the biggest factor keeping buyers out of the market, especially in Vancouver and Toronto. However, there are variations across the country. The average price of all homes sold in the Greater Toronto Area fell 3.4% in 2018, for example, while the average price climbed 3.7% in Ottawa and 5.8% in Montreal. Bank of Montreal economist Robert Kavcic predicts little change in national sales totals or prices in 2019. He suggested the the housing market is going into a period of stagnation. Recently Statistics Canada released its third-quarter report on national wealth, which is the “value of non-financial assets in the Canadian economy.” Total national wealth hit $11.415 trillion in the third quarter, and at $8.752 trillion, real estate made up a 76% share of that figure. That was the highest that both figures had been, going back to the second quarter of 2007. Data from both Canada and the US shows that real estate as a share of U.S. national wealth in 2007 was 75.3%, compared to 67.6% in Canada. That started to change with the 2008 recession when US real estate as a share of national wealth started to decline while in Canada real estate wealth started to grow. Economists have mixed feeling about this trend. Some say a flat housing market is not anything to worry about. Others, like CIBC’s Benjamin Tal said the Canadian housing market is more important to the overall economy than at any other time on record. Aalthough the Bank of Canada (BoC) argues that the worst is now behind us, and that housing markets are stabilizing, some economists find it difficult to agree. There are growing fears about a worldwide economic slowdown. Uncertainty with tariffs, ongoing trade wars, and even the US government shutdown (over for now) is all having a negative impact on the global economy as a whole. The International Monetary Fund (IMF) downgraded its expectations for the global economy, highlighting sharp declines in Europe and warning that the risks of a major slowdown have increased. Already, at the annual World Economic Forum being held in Davos, Switzerland, there is worry about the global economy. Absent from the Forum is representation from the US. French President Emanuel Macron stayed home to deal with ongoing domestic issues. British Prime Minister Theresa May is home, desperately trying to eke out a bipartisan deal for Brexit. In the United States, the shutdown has cut into growth. Early this month, consumer confidence slumped to the lowest level of Trump’s presidency, according to the University of Michigan’s consumer sentiment survey. While few see a recession as imminent, the number of risks is growing. As an economy slows, it’s easier for it to be knocked off track, many economists say. Chief executives ranked a global recession as their No. 1 concern for 2019, according to a survey of nearly 800 top business leaders around the world. A survey of 1,300 chief executives released by PwC found that 30% of business leaders believe that global growth will decline in the next 12 months, a record jump in pessimism to about six times the number who said that last year. The “R” word has been bandied about lately. In economics, a recession is a business cycle contraction, a general slowdown in economic activity. Economic indicators such as GDP, employment, investment spending, household income, business profits, and inflation fall, while bankruptcies and the unemployment rate rise. While we are living in a slowdown, we are not seeing high job losses or increases in bankruptcies. There is also some optimism. In a blog by TMG’s David Larock, he writes that core inflation has not increased and five-year fixed rates continue to settle in at slightly lower levels. Variable rates are holding steady. It’s a matter of waiting this through, as Canadians did in 2008. There may be an upside-- this projected slow period means buyers can take their time searching for a house and not worry about missing out on a sale. As always, Canadians are a resilient bunch – this is just one more challenge they will overcome. L’EXPERT IMMOBILIER PM a choisi Le Groupe Hypothécaire TMG afin de supporter leur plan de croissance stratégique. Le Groupe Hypothécaire TMG est fier d’annoncer qu’il a signé une alliance stratégique avec L’EXPERT IMMOBILIER PM, ayant des bureaux et des courtiers à travers la province. Avec l’introduction prochaine de la loi 141 au Québec et de son impact dans le secteur immobilier et hypothécaire, L’EXPERT IMMOBILIER PM cherchait un partenaire d’affaires, partageant les mêmes valeurs et qui serait en mesure de faciliter sa croissance. L’Expert Immobilier PM compte plus de 380 courtiers immobiliers travaillant à travers le Québec. Claude Girard, vice-président, Québec, Le Groupe Hypothécaire TMG est tout aussi enthousiaste. «Nous sommes ravis de travailler avec ce groupe Immobilier dont les valeurs sont notamment orientées vers l’expérience client, où autant les clients que les courtiers sortent gagnant de la relation professionnelle , a-t-il déclaré. De plus, l’équipe de L’Expert Immobilier, est orientée par un respect strict des codes d’éthiques du courtage immobilier, ce qui rejoint nos propre valeurs en terme de conformité. «Notre modèle d’entreprise, unique en son genre, permet flexibilité et autonomie. Ils pourront bénéficier de l’excellente réputation de TMG à l’échelle nationale. C'est une entente naturelle. Nous sommes convaincus que ce sera un partenariat gagnant-gagnant. " L’EXPERT IMMOBILIER PM est une société de courtage immobilier innovatrice fondée par Pierre Breton en 1993. La société a connu une croissance rapide. Aujourd'hui, l’entreprise continue d’évoluer, utilise une technologie de pointe et emploi des professionnels de l'immobilier compétents et expérimentés. TMG Mortgage Group is proud to announce that it has signed a strategic alliance with EXPERT IMMOBILIER PM, a real estate company with offices and brokers across the province of Quebec. With the upcoming introduction of Bill 141 in Quebec, and its impact in the real estate and mortgage sector, EXPERT IMMOBILIER PM was looking for a business partner who shared the same values, ​​and who would be able to facilitate its growth. EXPERT IMMOBILIER PM has more than 380 real estate brokers working across Quebec. Claude Girard, Vice President, Quebec, TMG Mortgage Group is equally enthusiastic. "We are delighted to be working with this Real Estate group, whose values ​​are particularly geared to the customer experience, where both customers and brokers are the winners of the professional relationship," he said. “In addition, the team of L'Expert Immobilier is guided by a strict respect of the code of ethics of the real estate brokerage, which joins our own values ​​in terms of conformity. Our unique business model allows flexibility and autonomy. 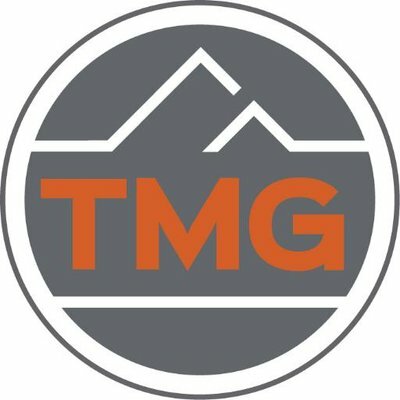 “They will be able to benefit from the excellent reputation of TMG at the national level. It's a natural agreement. We are confident that this will be a win-win partnership,” Girard said. TMG The Mortgage Group is an award-winning mortgage brokerage and the largest independent brokerage in Canada and has been in business for 30 years. EXPERT IMMOBILIER PM is an innovative real estate brokerage firm founded by Pierre Breton in 1993. The company has grown rapidly. Today, the business continues to evolve, uses cutting-edge technology and employs skilled and experienced real estate professionals. TMG The Mortgage Group is proud to announce a new, strategic affiliation with SafeBridge Financial Group. At a time when incredible change is taking place in the mortgage industry, TMG The Mortgage Group and SafeBridge Financial Group saw a way to align the natural synergy between them to further benefit their respective businesses and offer more value to their clients. Since 2006, SafeBridge has distinguished itself as a leader in the mortgage industry and has continued to experience substantial year-over-year growth, while at the same time providing essential mortgage, insurance and investment services for Canadians through their Mortgage Centered Financial Planning™ model (MCFP). TMG The Mortgage Group and SafeBridge Financial are the only two brokerages that have received the Employer of Choice Award from the Canadian Mortgage Awards. TMG The Mortgage Group is an award-winning mortgage brokerage and the largest independent brokerage in Canada. SafeBridge was co-founded as a Financial Planning Firm in 2006 with a vision to drive transformational change in the Canadian Mortgage Industry by redefining the traditional customer experience through their proprietary Mortgage Centered Financial Planning approach™.